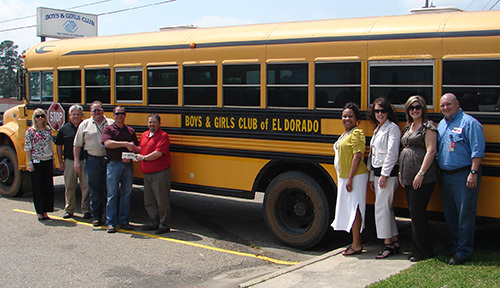 Since 1939, the Boys & Girls Club of El Dorado have provided fun and engaging after school and summer programs to thousands of the community’s youth. Our low annual fee ensures that a membership is within reach of all kids who need a safe, positive place to go during non-school hours. Over 2,400 El Dorado youth, ages 6-18, participate as members of our Youth Center and Teen Center. We believe that greatness is within the reach of every child and that kids who come to our Clubs have a better chance to succeed in school and in life. A ballerina, an astronaut, an all-star athlete. If kids can dream it, Boys & Girls Clubs can help them become it. At the Boys & Girls Club, we know that great futures really do start here!